Todas las piezas reciben un gran trabajo de pintura y texturizado. Utilizamos aerógrafo, pincel seco, aguadas, y otros procesos para efectos de agua y lava para obtener el mejor resultado posible. El acabado mostrado es el mismo que recibirán nuestros clientes, ¡¡sin excepciones!! All terrain pieces has a great handwork of paint and texture. We work it with airbrush, washes and dry brush, also another process for water or lava effect, to get the best result. The paint work we show at images it´s the same for all our work and customers, without exceptions!! 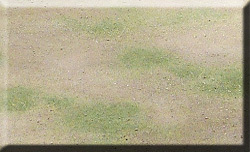 Dry meadow: Ochre base with green grass at 30%, (south Europe, north Africa…). Pradera intermedia: Base ocre con vegetación al 65%, (Europa interior…). 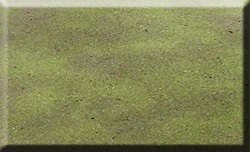 Medium Meadow: Ochre base with green grass at 65%, (inner Europe…). Pradera intensa: Base marrón con vegetación al 85% (Norte de Europa…). 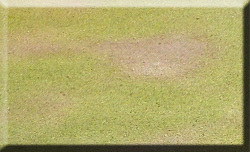 Intense Meadow: Brown base with green grass at 5%, (north Europe…). 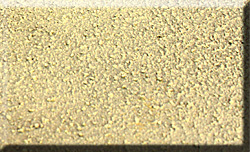 Desierto: Base ocre con un poco de vegetación seca. Ideal para cualquier wargame, desde escenarios históricos, a ambientes fantásticos o post-apocalípticos. Desert: Ochre base with a little of dry grass. Ideal for any wargames: both historical scenery, fantasy or post-apocalyptic environment. Nevado: Base marrón cubierta con nieve artificial (¡¡nuestra especialidad!!). Escenario extremo pero válido para cualquier wargame. 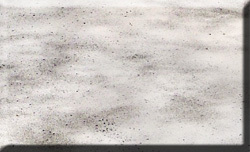 Snowy: Brown base covered with artificial snow (one of our speciality!!). Extreme scenery for any wargame. Devastado: Base marrón con áreas negras. Escenario extremo ideal para entornos post-apocalípticos y de ciencia ficción. 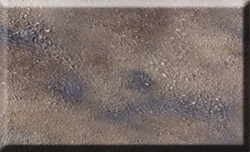 Wasteland: Brown base with black areas. Extreme scenery ideal for post-apocalyptic environment and sci-fi wargames.